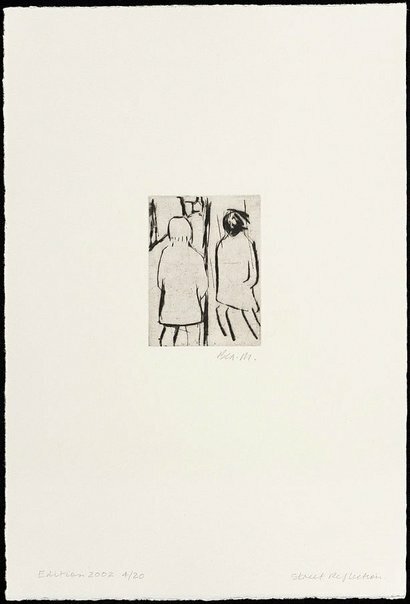 Bea Maddock was one of the most important printmakers to emerge in the 1970s, when her work began to embrace the influence of British and American pop art. 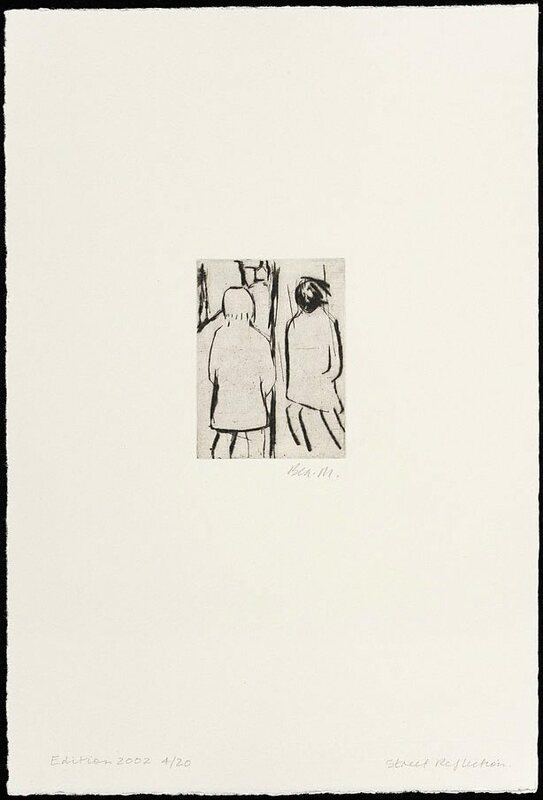 Her pioneering use of photo-etching in Australia had widespread influence resulting from her time as lecturer of printmaking at the Victorian College of the Arts, Melbourne between 1970-1982. She has lived and worked at Launceston since 1983; her work was the subject of a major touring retrospective in New Zealand 1982/83 and Australia in 1992 (organized by the Queensland Art Gallery and the National Gallery of Australia) which was shown at the Art Gallery of New South Wales. Her more recent work, including the major frieze work 40 pages from Antarctica recently displayed at the Art Galley of New South Wales, has engaged the themes of landscape, mapping and language. Signed l.r. beneath platemark, pencil "Bea. M.". Not dated. Art Gallery of New South Wales annual report 2005 , Sydney, 2005, 63. Open air: portraits in the landscape , Sydney, 2008, 51 (colour illus.). Collection Queen Victoria Museum and Gallery, Launceston.